Inside Anouk Markovits' latest novel, and what it means to grow up in a family with strict religious ideals. Last week’s Read It First giveaway of Hogarth’s Limited Edition Set featured I Am Forbidden by Anouk Markovits. Many congratulations to the lucky RIFers who won a set! We can’t wait to hear what you think about all four novels. Newly launched in the U.S., Hogarth will publish the kind of fiction that people will be talking about 100 years from now: contemporary, voice-driven, character-rich, eclectic, adventurous, provocative, vividly written. I Am Forbidden is all those things and more. With a starred review in Publishers Weekly and rave early reviews from celebrated authors, it’s one to watch this spring. We’re thrilled to share advance reader’s copies with you, making the Read It Forward community among the first readers to enjoy this fantastic novel. In my ultra-Orthodox, Hasidic childhood, secular books were forbidden. I would often volunteer to do the grocery shopping for my large family, so that a few centimes could find their way into my pocket, then I would sneak into the storefront lending library on the rue des Orfèvres. I would select volumes by size because borrowing a fat book cost the same as borrowing a thin book. 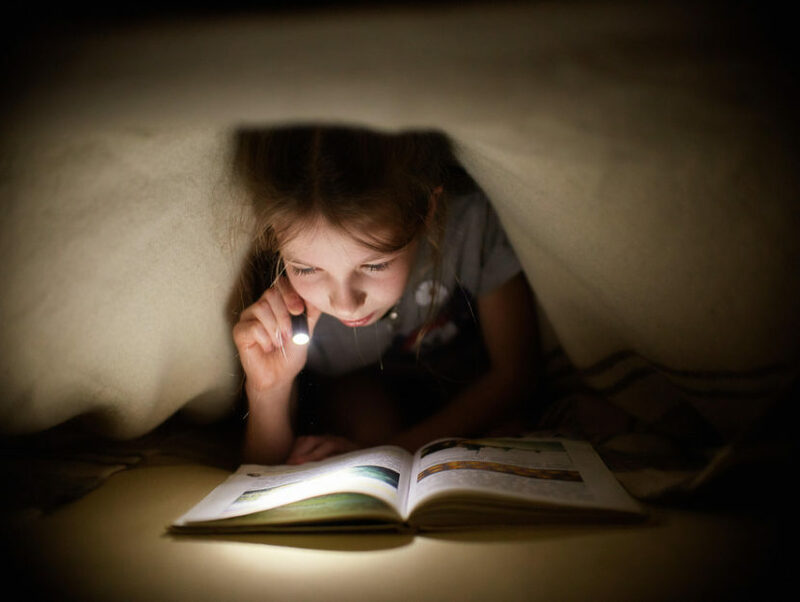 I would hide the books on my body beneath my clothes and read them at night by flashlight. Walking by bookstores, I would glance through the window at the covers, wondering if I would ever be able to buy a newly published title. I was an adult before I bought my first book of contemporary fiction and I remember my sense of triumph when I saved up enough money to buy the full 9-volume French dictionary, Le Grand Robert. I Am Forbidden is my first novel in English and the first time I have written about the world of Jewish fundamentalism in which I was raised. Books set in fundamentalist environments generally feature protagonists who leave or struggle to leave. I wanted to try to write about those who stay. This meant writing a novel rather than an essay or a memoir because a novel would permit me to journey into characters whose beliefs and choices were not my own. I tried to write about the Hasidic world on its own terms, but in the end the genre of the novel intrinsically opposes all fundamentalisms; the multiple, conflicting perspectives that a novel requires are precisely what fundamentalism forbids. In the Hasidic world I come from, we were not to speak of life inside to people on the outside. And women were not to speak in public at all. So I do not take for granted this opportunity to have my novel published and to be part of communities like Read It Forward that give voice to writers and readers, in support of a world where people are free to select any book they choose. ANOUK MARKOVITS grew up in France. She attended a religious seminary in England instead of high school. After she left home at the age of nineteen to avoid an arranged marriage, she attended Columbia University. She has a Master of Architecture from Harvard and a PhD in Romance Studies from Cornell. She has worked as an architect and as a set designer on major films including The Unbearable Lightness of Being. She lives in New York. Her first novel, Pur Coton, was written in French. I Am Forbidden is her English-language debut and will be available wherever books are sold on May 8, 2012.